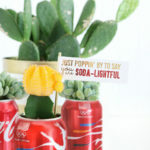 If you’ve been reading this blog for any amount of time you know how much I love a good dollar store project. 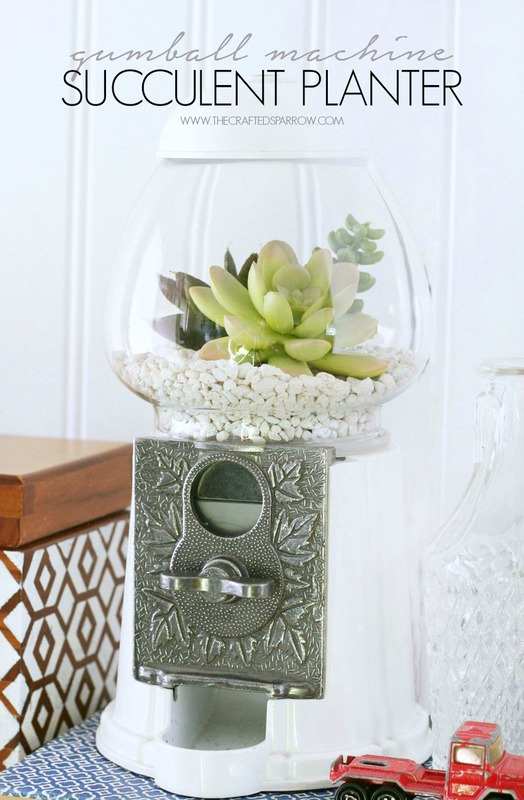 There is something pretty satisfying about transforming an item that most people just buy and use it as / is, which don’t get me wrong is totally fine…but the hunt for me to find things that could be better with a little DIY action makes it fun! 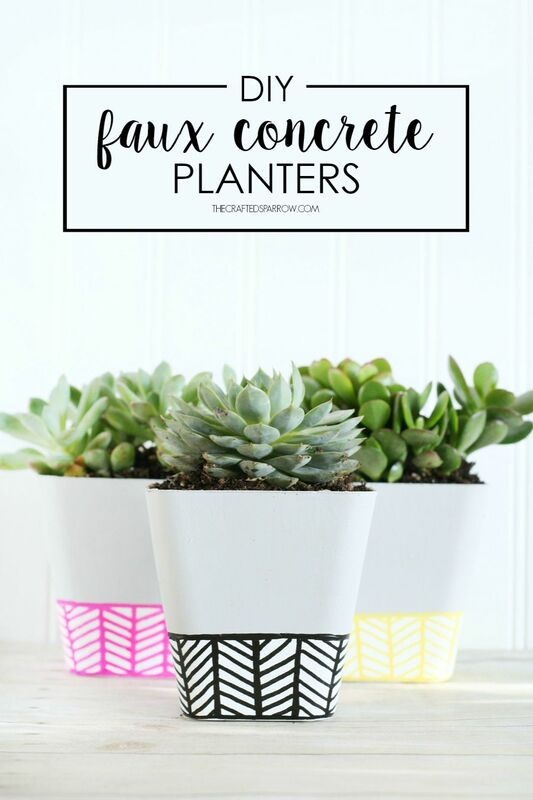 These DIY Faux Concrete Planters are the perfect example of that. 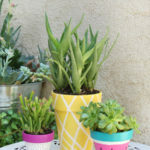 While strolling the isles of our local dollar store I found these biodegradable pots, I liked the shape of them and thought they would be cute with some succulents. Except I wanted something a little more modern and trendy. 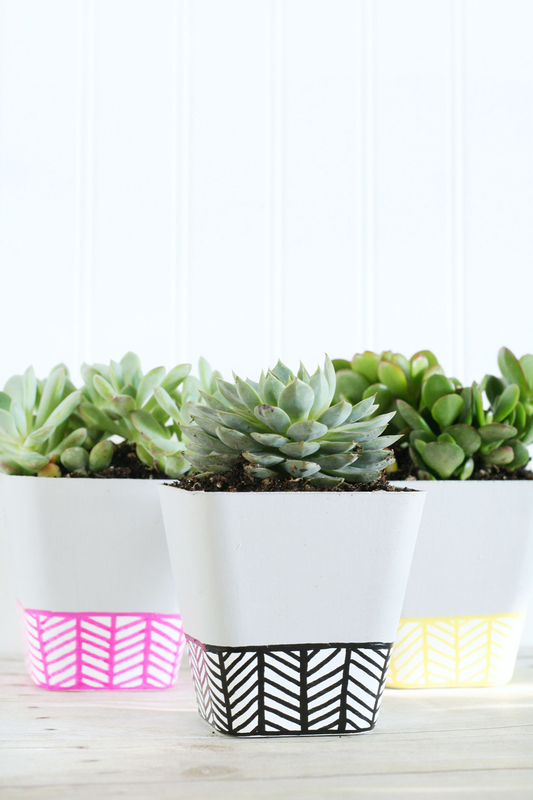 Since concrete is a popular trend in home decor right now, especially mixed with bright colors I thought I’d give these little pots a faux concrete look. It was so easy to do! 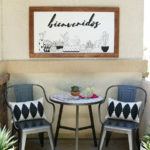 Start with some gray paint, try to keep it close to the color of concrete. 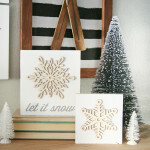 You can use a multi-surface acrylic paint, or like me if you have samples of latex paint lying around you can use that. 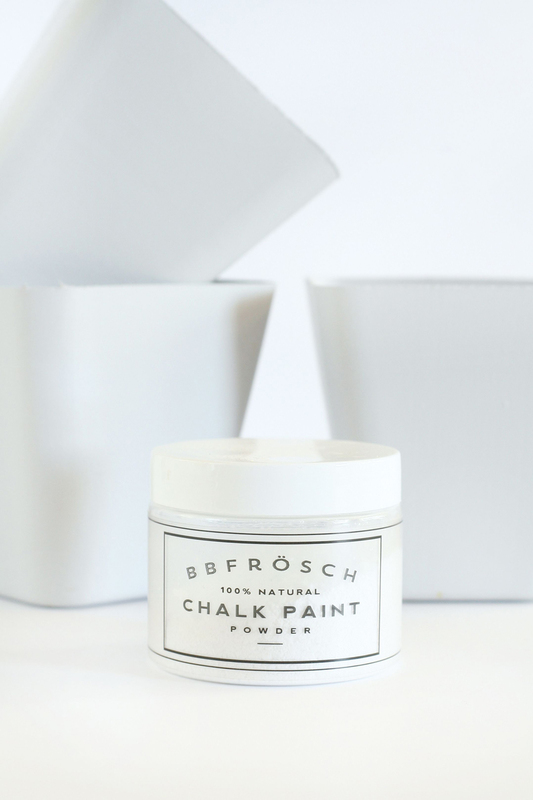 I added some of my favorite BB Frosch Chalk Paint Powder to my latex paint. 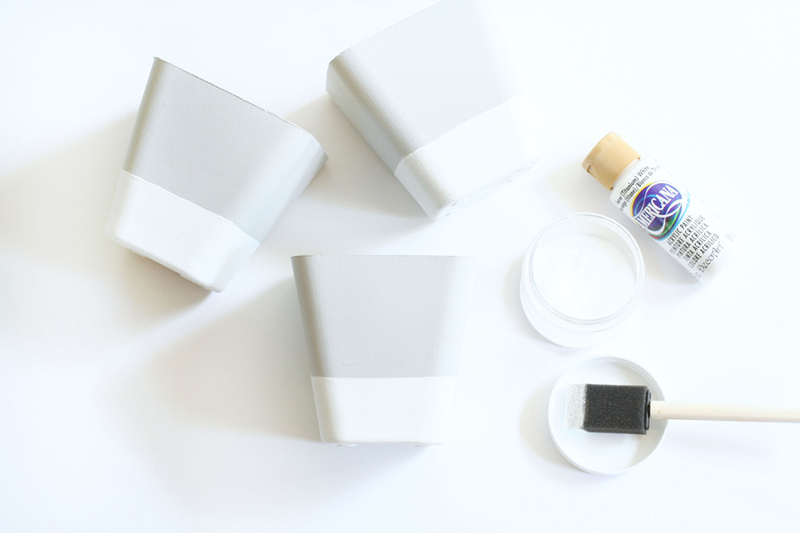 This creates a great bond on any surface, and makes it so you only need two coats of paint to achieve full coverage. 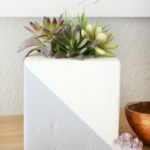 It also gives the container a tiny bit of that concrete texture with its chalky finish. 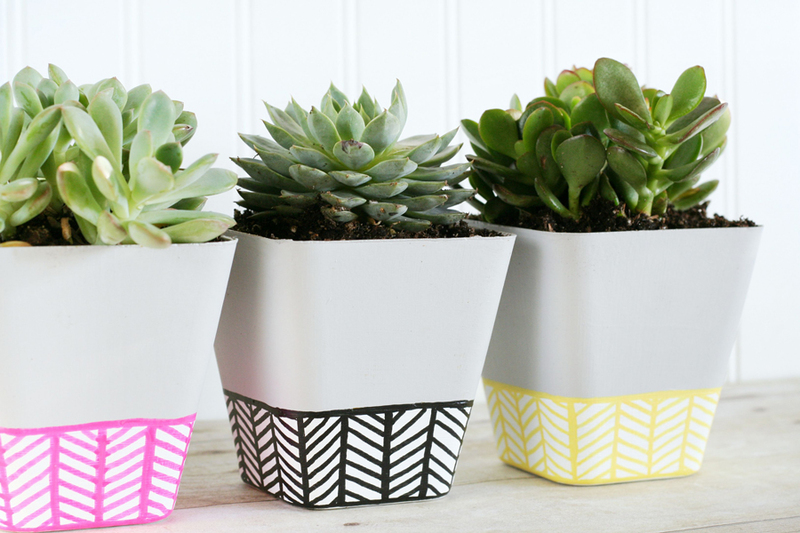 Paint the entire outside of the pot with the gray paint, let dry. You will need two coats. 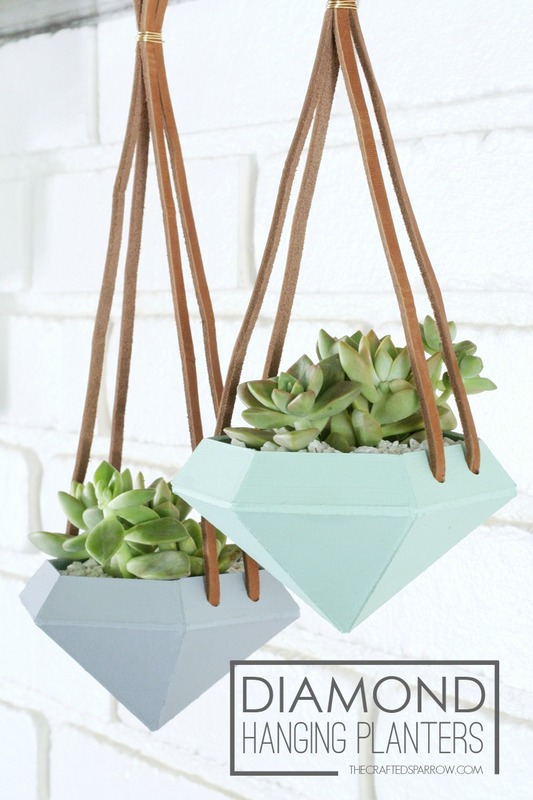 You can also paint the inside of the pot if you want, I only painted about half way down the inside of the pot since it is covered by soil. Once the gray paint is dry it’s time to give them some fun details. 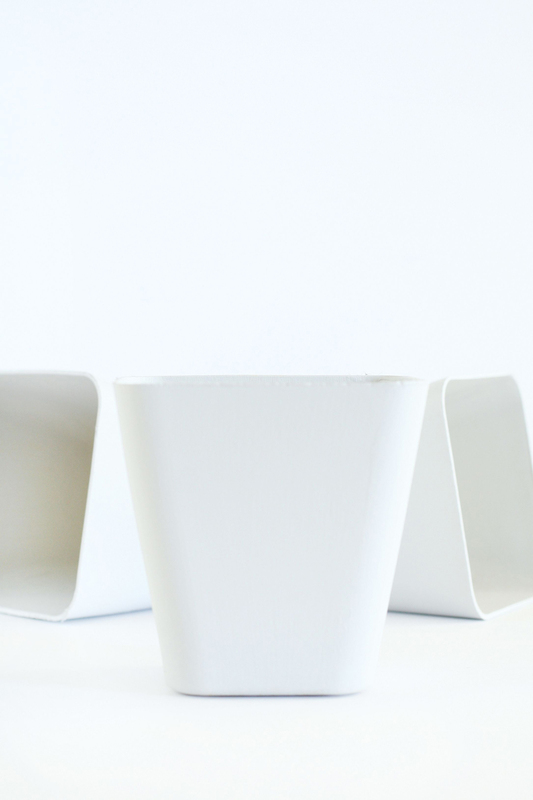 I simply painted the bottom of each pot white, letting it dry between each coat. 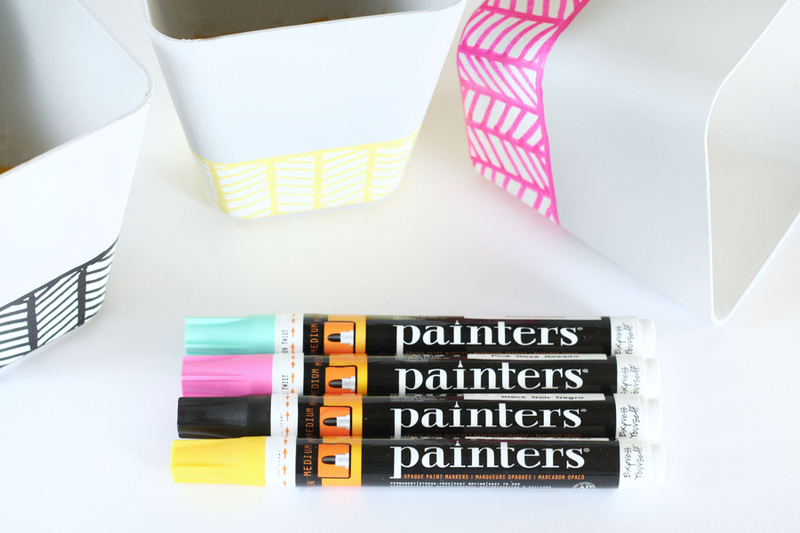 Once the white paint is dry it’s time to grab the Painters paint markers from Elmer’s. 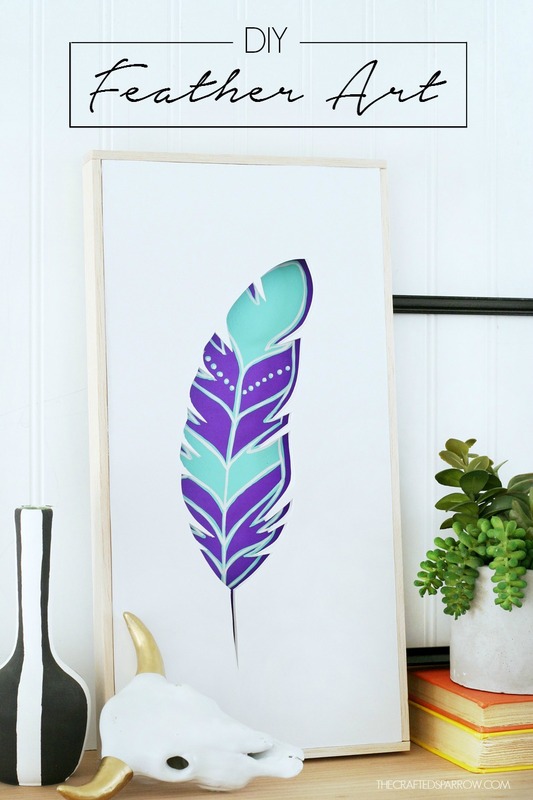 I love these markers, they make projects like this a breeze and they come in so many fun colors. 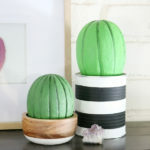 You can create any design you want on the bottom of your pots, I chose to do a herringbone pattern. These paint markers dry super quick. 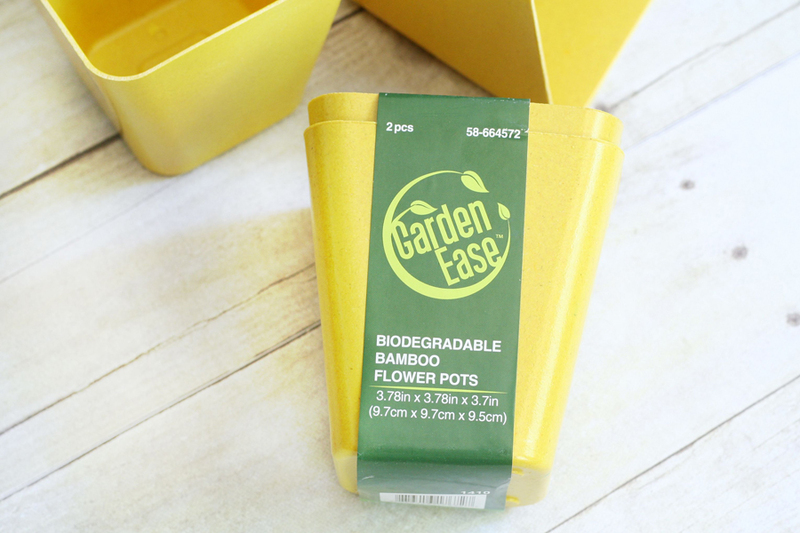 Optional: If you want to seal your planters you can do so with a matte clear coat like modge podge or a similar product. 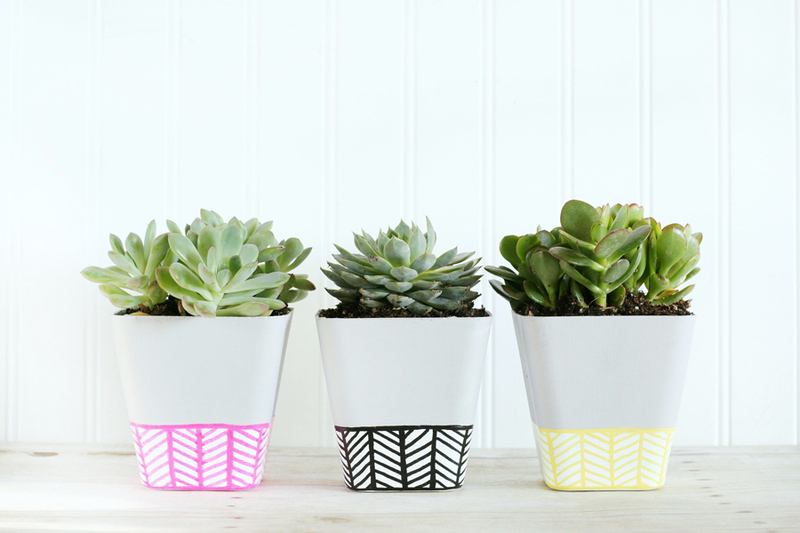 Lastly, just fill your fun little planters with some sweet succulents. 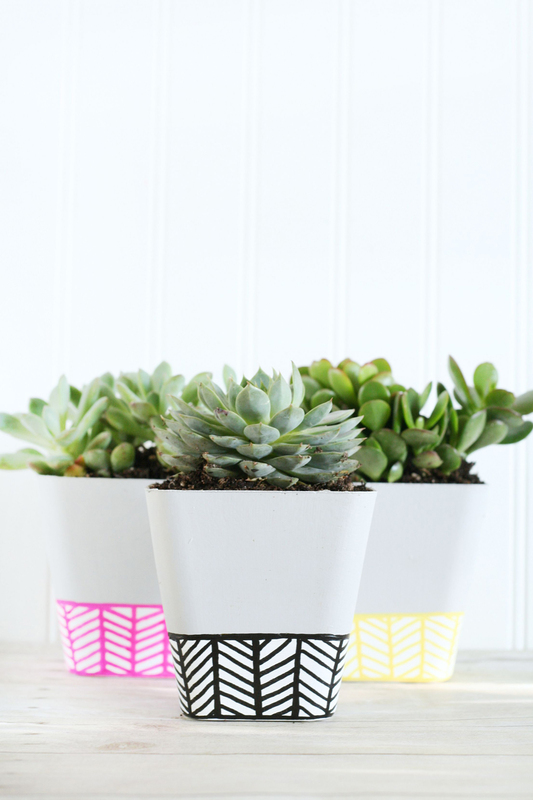 These fun things are going to be a gift for our teachers for back to school, be sure to check back tomorrow for a cute printable to pair with these planters! Be sure to follow Elmer’s so you don’t miss a single thing as they introduce new products and fun ideas! Disclosure | This post is sponsored by Elmer’s. All ideas and opinions are 100% my own.